You’ve got questions, and we’ve got answers! Some of our most frequently asked questions follow…but there certainly are more to ask. If you don’t find what you’re looking for, contact us anytime for a prompt, courteous, and knowledgeable answer! Q. Will a metal roof affect cell phone reception inside of my home? A. Chances are that you currently use your cell phone in metal roofed buildings on a regular basis. Think of the restaurants where you eat, the stores in which you shop, your bank, your church, etc. Many of those buildings have metal roofs or metal decks beneath flat roofs. Over the years and tens of thousands of roofs, we have had no more than five people tell us that their metal roof did seem to affect their cell phone reception. If you currently have very, very weak or spotty cell phone reception inside of your home, a metal roof may be the “straw that breaks the camel’s back.” Adding a cell phone signal booster in your house would have been helpful before the metal roof and certainly would be helpful after your metal roof is installed. However, if you have fair to excellent cell phone reception now, the metal roof should not have any noticeable effect. Q. What will happen to a metal roof in a lightning storm? A. Lightning occurs from the highest object in an area, regardless of the material from which it is made. Metal roofing does not create nor attract lightning and poses no additional lightning risk to the structures it protects. Refer to this document published by the Metal Construction Association for more information on this subject. A. The heavily-textured beauty of our metal shingle roofing systems adds strength and prepares them to take whatever Mother Nature dishes out. Our warranty provides specific hail protection including protection against finish damage and leaking due to hail. Additionally, unlike most other roofing materials, metal does not lose impact resistance with age – this is a real bonus over other products which become more susceptible to damage with each passing year. Because of our Class IV UL 2218 Impact Resistance Rating, you might even be eligible for a discount on your homeowner’s insurance. In the event of an especially severe storm, if an indentation does occur, it can often be repaired easily and invisibly by capping over the damaged shingle panel with a new panel. Learn more about Hail and Metal Roofing. A. The deep-textured folds in our metal shingle products avoid the ‘pinging’ sound you might expect from rain hitting a flatter metal roof. As a result, for normal construction methods, metal roofing does not create any objectionable noise during rainstorms. Attic airspace and ventilation play a role in sound absorption as well. For the rare instance where a home’s construction may make noise a potential concern, we offer optional foam inserts for use behind our metal shingles for additional sound deadening. A. A Classic Metal Roof from Appleby Systems is completely non-combustible and provides great protection from external fires. Additionally, the extreme low weight of our products minimizes any cave-in threat which might occur with an interior house fire. A. Our high-strength metals, combined with deep texturing, don’t lose their strength over time, making our roofs just as resistant to foot traffic and even hail when they are many years old as they are when they are new. Your product representative will be able to give you instructions on how to safely walk on your roof. Optional foam inserts are available for use with our shingle products in areas where protection against heavy foot traffic is desired. It is also important to note that the random texture of our metal shingles will mask any minor indentations which may occur. Q. Can you install attic vents on a metal roof? A. For most homes, attic ventilation is critical. It helps avoid unhealthy high moisture levels which can result in condensation and even mold. It helps reduce home heat gain and air conditioning costs in warm weather. And it also plays a huge role in avoiding winter rooftop ice dams in northern climates. So, yes, A metal roof can, and usually should, be vented. This can be done with our matching Perma Vent or Hi-Flow Vent systems. Also, most commercially available roof and ridge vents can be incorporated into our roof systems as well. Please contact us if you have any questions at all about ventilation or how to make your home more efficient and healthy. When a home is re-roofing, we suggest that all vented be replaced rather than reused. Q. What is the minimum roof pitch on which a Classic Metal Roof may be installed? A. No roof should ever be installed at a pitch lower than that recommended by its manufacturer. Our ClickLock standing seam can be used down to 2:12 roof pitches and even as low as 1.5:12 in situations with short rafters and no water runoff from higher roofs. Most of our metal shingle products require a 3:12 pitch. Due to its extra dimensionality, the Country Manor Shake system should not be used at less than 4:12 pitch in heavy snow areas. Q. Is underlayment used beneath a metal roof? A. First of all, our roofs require solid decking. Whether the job is over old shingles or direct over wood decking, underlayment should be used. Underlayment is required by the International Building Code and it helps protect the back side of the metal from any rough surfaces below the roofing material. Generally, one layer of synthetic underlayment is used or one layer of 30-pound felt. In certain areas, as required by code, ice and watershield products or fire-retardant underlayments will be used. Q. Can skylights be installed with my metal roof? A. Yes. Normal types of protrusions through the roof do not pose a problem. They need to be flashed and detailed properly and we have instructions to help installers with that. Skylights must be curbed, not flush-mounted. If there are existing skylights that show deterioration or if the existing skylights 10 or more years old, we suggest new skylights be installed. Even the best skylights have 20 year warranties. It does not make sense to install a long term roof with a skylight that will soon need to be replaced. Q. What is the difference between buying a Classic Metal Roof from Appleby Systems and purchasing sheets of metal roofing through a national home improvement chain? A. Appleby Systems is dedicated to providing the highest quality products and service. We distribute our products through a highly qualified network of independent dealers trained in providing customers top quality service, installation and peace of mind. The home improvement chains carry a narrower array of often lower-quality products. Homeowners who purchase big box products can be severely disappointed by the lower quality metals, coatings, and product designs they purchased. By choosing Appleby Systems, Inc., you are assured top-quality products, serviced and installed by the best. A. A Classic Metal Roof from Appleby Systems is an investment in your home which provides an immediate and ongoing increase in home value. While it has a higher upfront cost, homeowners who plan to remain in their home through at least one more re-roofing cycle (usually 12 – 17 years), will see a significant financial benefit from a Classic roof that will not have to be replaced during that time or even long after. A Classic Metal Roof will also save you money on ever-increasing home energy bills as well as costly and messy re-roofing with temporary roofing products. Q. How much longer will a Classic Metal Roof last in comparison to common roofing like asphalt or wood shingles? A. With temporary roofing products, your roof starts to deteriorate the moment it is installed. According to the asphalt roofing industry, the average lifespan of traditional shingles is 12-17 years! Heavily pro-rated or limited warranties on these products bring little or no value to property owners. Wood shingles also deteriorate quickly. Classic Metal Roofing Systems carry meaningful long-term warranties on both the base metal and their high-quality coatings. Feel free to call us and discuss the details of our warranty – we believe it is solidly the best in the industry! Q. Is a Classic Metal Roof environmentally-friendly? A. A Classic Metal Roofing System is a Green Roof – it is made from 95% recycled aluminum and its long life expectancy guarantees sustainability. Add in energy efficiency and the ability to be installed over most existing roofs (avoiding landfill disposal of old materials) and you have what is likely the most environmentally-friendly roof available to homeowners! In comparison, temporary roofing materials use up precious natural resources and pollute the earth by sitting in landfills. Q. Metal roofing seems to have a lot of options; how can I sort my way through everything? A. At Appleby Systems, we pride ourselves on working closely with anyone who is interested in metal roofing. One of the great things about metal roofing is the wide variety of products available. We are here here to assist you! Our knowledgeable Customer Support Specialists and other team members will gladly walk with you through all the different metal options. 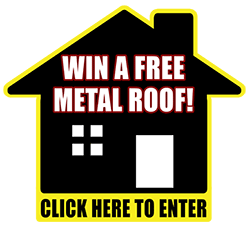 We pledge to be your information source for metal roofing! For more information, just ask or call us at 800­-767­-0200. We want to be of service and value to you. Todd Miller is President of Isaiah Industries, an organization that is recognized as one of the world’s leading metal roofing manufacturers, and manufacturers of Classic Metal Roofing Systems. With over 30 years of experience in residential metal roofing, he can help you navigate the issues encountered in roofing or reroofing your home or commercial property. Use the form below and you’ll receive a response directly from Todd or his team.